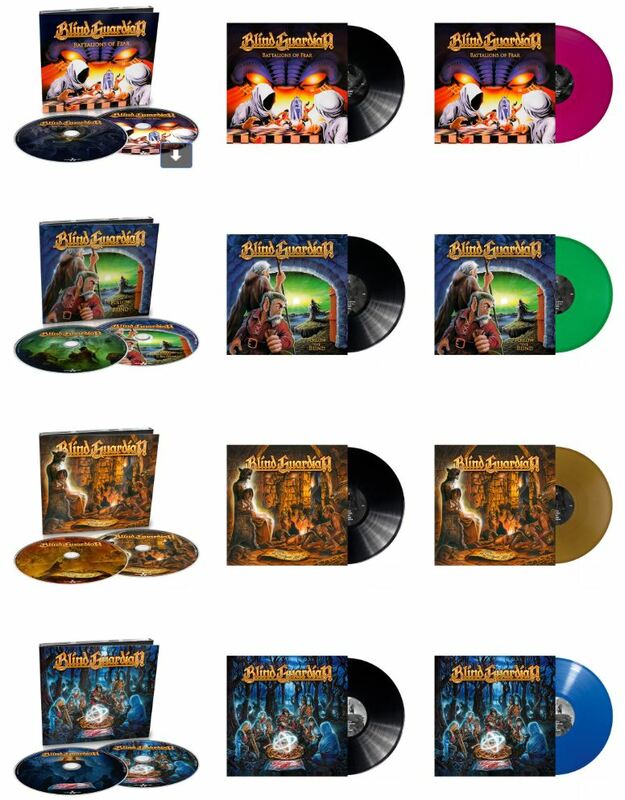 On September 14th 2018, Germany-based progressive power metallers BLIND GUARDIAN will re-release their first 4 studio albums via Nuclear Blast! The back catalog has been remixed and remastered, and will be available as 2CD-Digi and black vinyl formats, as well as individual colored vinyl for each album. 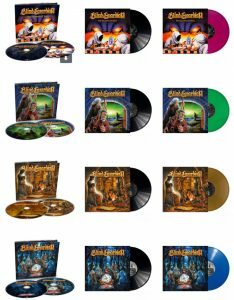 There will also be a vinyl box available, including all re-issues exclusively available via the Nuclear Blast Mailorder (see details below). The vinyl box can be also purchased separately as an empty slipcase without vinyls.